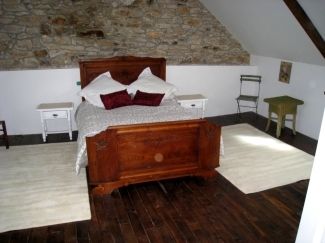 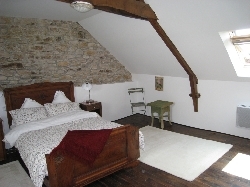 KERDAVID FARMHOUSE - Beamed ceilings, stone walls and a gentle French Rustique style with warm antiques give the property a unique ambiance� sleeps 10� has an in-ground heated pool, original wooden beams, chestnut floors and exposed stone walls! 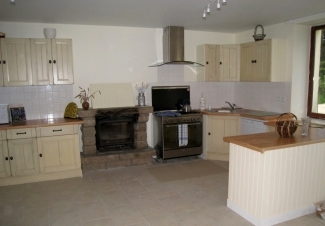 Using many French artisans, the renovation of the entire house, rewired, fully insulated and plumbed to the highest quality was completed in Oct 2008. 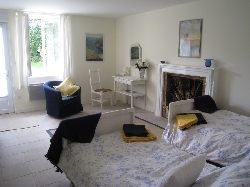 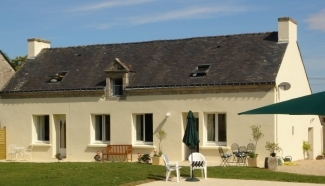 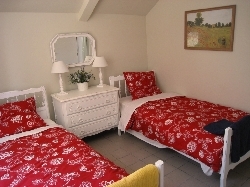 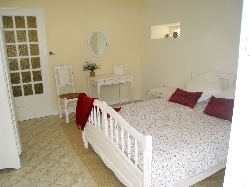 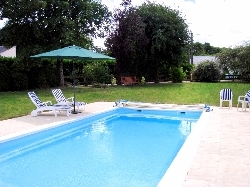 KerDavid is located in wonderful Southern Brittany, in a quiet hamlet near Auray, 20 minutes from cycle paths, glorious sandy beaches, megaliths, golfing and sailing in the Bay of Morbihan. 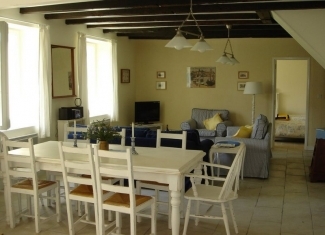 This coastal area has as many sunshine days as Toulouse per year!